Tina Murua sat down recently with Kelloggsville Middle School seventh-graders Genesis Figuero and Kiara McBride. The girls were ready to talk face-to-face about problems with their friendship, prompted by hurt feelings and misunderstandings. Taking turns holding a bag of marbles to designate who could speak in the Restorative Circle, the girls, through guided conversation with Murua, told each other what was on their minds. Turns out, they really never wanted to stop being best friends but got caught up in a game of she said/she said. At the end of the discussion, the girls signed an agreement to talk directly to each other about any concerns. Without Murua to talk to, the girls might have wound up in the principal’s office for gossiping or arguing. Instead, they used a new tool available to them: restorative justice. 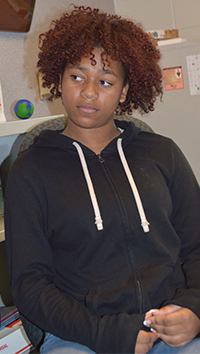 Murua began working this fall at Kelloggsville Middle School on three afternoons a week as facilitator for the program that aims to teach students how to peacefully resolve conflicts. Kiara and Genesis said they felt positive about the agreement. Restorative justice was a better way to solve their problem than continuing to argue. “I like this better because if you are going to the principal or dean you are getting in trouble. I like to go somewhere where I’m not getting in trouble and can sort out my problems,” Kiara said. 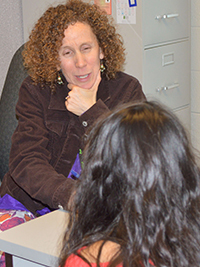 A new outreach of the Grand Rapids-based nonprofit Dispute Resolution Center of West Michigan, restorative justice helps students solve differences using trained mediators. Many students’ conflicts center around friendships, gossiping or social media arguments, though they see Murua for bigger offenses– like stealing or fighting — sometimes after suspension, as well. Students often just need the skills to respond appropriately to conflict. Sometimes that hasn’t been modeled well at home, Murua said. As a third-party, Murua provides a place where students feel comfortable talking things out without facing punishment. While restorative justice isn’t a new philosophy or curriculum, it flips the traditionally punitive school-discipline model. It is also being used at Lee Middle School in Godfrey-Lee Public Schools and at Wyoming High School in Wyoming Public Schools. 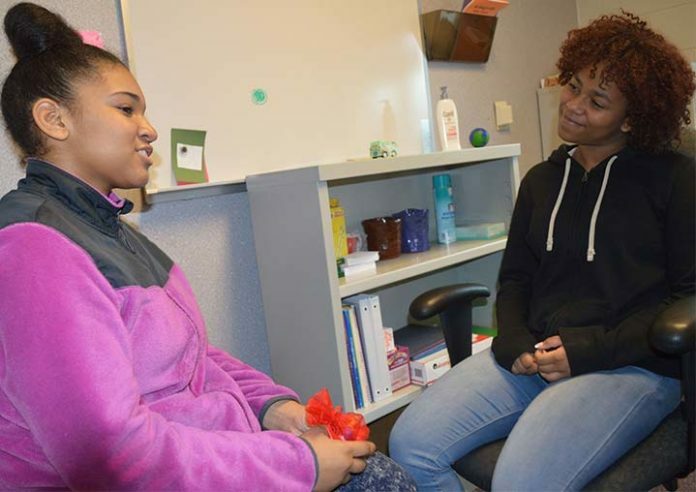 In Grand Rapids Public Schools, more than two dozen schools have implemented restorative practices and more than 1,500 students have participated, Superintendent Teresa Weatherall Neal reported this fall. Kelloggsville students may still be suspended as part of the discipline program there, but they often meet with Murua after they return. 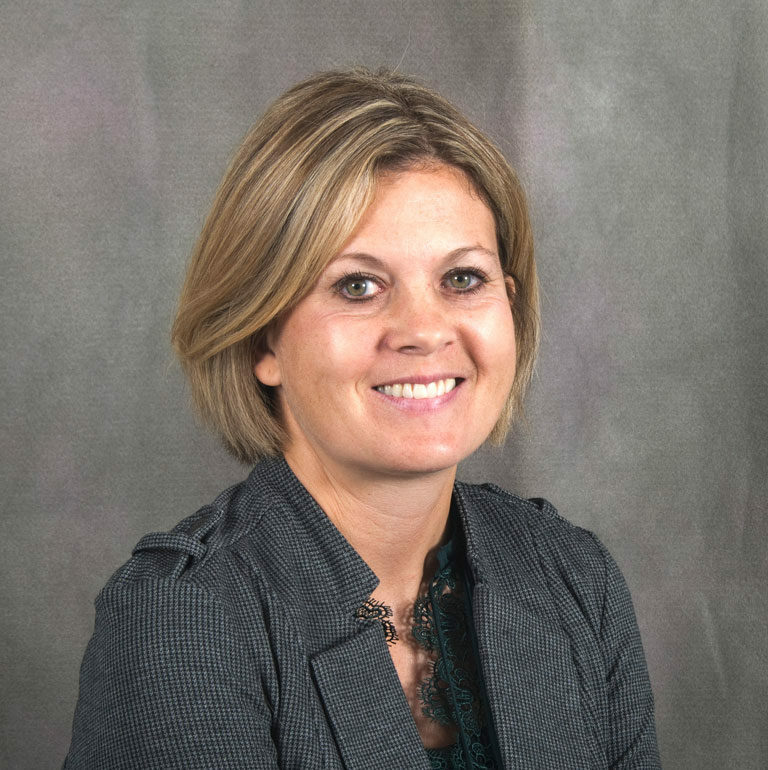 Christine Gilman, executive director for the Dispute Resolution Center of West Michigan, said they first approached Godfrey-Lee to start the program last year because of a disproportionate rate of suspensions and expulsions for minority and special-education students. Wyoming High School and Kelloggsville administrators expressed interest when the center wanted to expand the program. “It is such a powerful way to help improve the school community and culture, to make communication really valued and where students use their communication skills to solve problems,” Gilman said. Oftentimes, including in the case of suspension, students are cut off, at least temporarily, from the school community. Restorative justice instead makes students accountable for their behavior. They have to own up to the situation and become part of the solution. The long-term goal is to interrupt the school-to-prison pipeline by creating stronger schools and students who have a sense of belonging. Students who are suspended have a much higher percent chance of repeating a grade or dropping out of school. They are significantly more likely to go into juvenile detention programs and then to jail, according to a Texas study, “Breaking Schools’ Rules: A Statewide Study of How School Discipline Relates to Students’ Success and Juvenile Justice Involvement,” prepared by the Council of State Governments Justice Center in partnership with the Public Policy Research Institute at Texas A&M University. The outcome of a successful restorative justice program is fewer suspensions. Students are also less likely to repeat bad behaviors and the need for classroom discipline decreases, Murua said. Wyoming High School Assistant Principal Josh Baumbach said they’ve already seen a reduction in suspensions since starting the program this fall. “It has allowed students a safe process to work out their differences and it helps ensure the issue does not come back as soon as students return to the hallways and classrooms,” he said.